The Landscape Gardener plans and executes landscaping operations and maintains all interior and exterior plants including trees and shrubs for the Legislative Office Building, State Legislative Building and legislative complex grounds. The Landscape Gardener will be comfortable operating lawn maintenance equipment such as blowers and trimmers. The Landscape Gardener will be creative, with excellent problem-solving and organizational skills. The Landscape Gardener works under the general supervision of the Facility Manager. Recommends landscaping and selects plants for the legislative complex and plants for building interiors. Maintains legislative complex grounds by fertilizing, mowing, weeding, raking, pruning and spraying trees, shrubs and lawn. Confers with nursery owners concerning plant adaptability, accepted usage, sources of supply, and cost and maintenance. Maintains irrigation system including cleaning and winterizing the system. Removes snow and ice on the complex grounds. Organizes, cleans and purchases proper landscaping tools. Orders and purchases plants annually. Requires a practical knowledge of effective methods of grounds maintenance, plant selection and cultivation, and equipment maintenance. Ability to establish and maintain cooperative work relationships. Ability to perform work tasks that requires lifting up to 50 pounds. Willingness and ability to work extra hours. Ability to identify issues with soils that may prevent proper plant growth and develop a plan for improvement of soil nutrition. Ability to operate an automated irrigation system. Graduation from high school or possession of a GED certificate and two years of post-secondary training or direct experience in landscaping design, horticultural and grounds maintenance.  To be considered for the Landscape Gardener position, all applicants must submit a NC General Assembly application by 5:00 pm on Friday, February 15, 2019.